Well Presented Detached Bungalow in a Popular Country Club Complex. 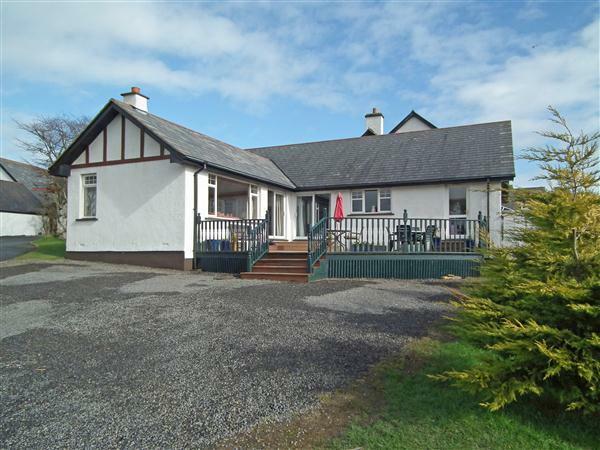 Highly Accessible to Country Club Amenities, Douglas & the Airport. Spacious Lounge with Open Fireplace Enjoying a Pleasant Outlook. 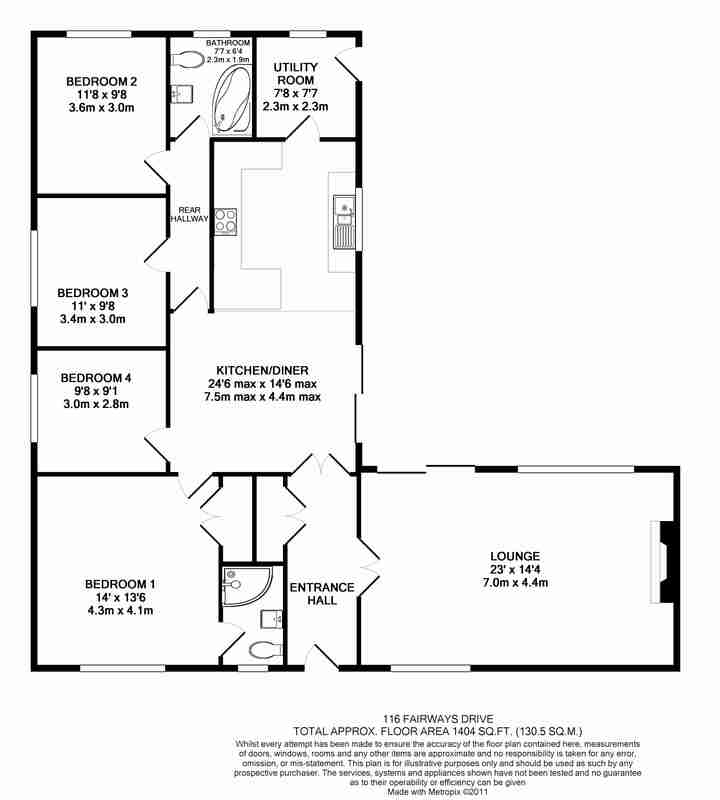 Open Plan Breakfast Kitchen & Dining Room Plus Utility Room. 4 Good Double Bedrooms (1 with Ensuite Shower Room). Lawn and Spacious Decked Patio Placed to Enjoy the Views. Off Road Parking for up to 4 Cars. Travel out of Douglas in a southerly direction along the New Castletown Road, continuing up Richmond Hill. Take the right hand turn signed for Mount Murray Country Club. Take the first right turn and continue down, bearing left along Fairways Drive where the property will be found along on the right hand side. Part glazed timber entrance door with glazed window to the side opens into the hall. A spacious area with a built in storage cupboard. Multi pane double doors open into the kitchen. Multi pane double doors open into the lounge. Wood effect floor covering. A naturally bright and spacious, triple aspect room, with an attractive fireplace to one end with a cast iron grate, granite hearth and chunky timber surround. The large picture window provides a fabulous view over the lake with sliding doors to the side leading out to the decking area. Wood effect floor covering. Coved ceiling. Television point. The wood effect floor covering continues through to the dining area which is open plan to the kitchen. Space for a table and chairs. Sliding doors lead out to the decked area. Fitted with a range of modern Ash effect fronted base and display wall units. Background tiling complements the laminate work surfaces which incorporates a one and a half bowl stainless steel sink and a ceramic hob with inset oven below and extractor unit above, extending out to a breakfast bar area. Space for a fridge freezer. Plumbing and space for a dishwasher. The uPVC window provides a pleasant outlook to the lake and over the fairway. Ceramic floor tiles. Door to the utility room. Door to the rear hall. A glazed uPVC door leads to the decked area. Side uPVC window. Plumbing and space for a washing machine and dishwasher. 'Megaflo' hot water cylinder. Vinyl floor covering. A large double room with a built in wardrobe. Television and telephone points. Double glazed uPVC window. Fully tiled and fitted with a white pedestal basin and WC, plus a fabulous self contained unit combining shower, steam room, massager and radio - heaven!! Obscured glazed uPVC window. A double room with television and telephone points. Double glazed uPVC window. A double room with a uPVC window. Television point. A double room with the uPVC window providing a pleasant view over the lake. Television point. Fitted with a white suite comprising a WC, pedestal basin and corner bath with mixer taps, shower attachment and background tiling. Obscure glazed uPVC window. 'Manrose' extractor fan. Accessed from the lounge, kitchen and utility room is the large decking area with balustrades and steps leading to the gravelled driveway. Fabulous views over the lake and fairway. The oil storage tank is situated to the side of the house. Timber store. A paved path runs through the centre of the lawn to the front door. Conifers and specimen tree planted. Freehold - Though a grounds fee of £40 per quarter is payable to Mount Murray.